Rates: Reservations can be made on-line up to one day before arrival. 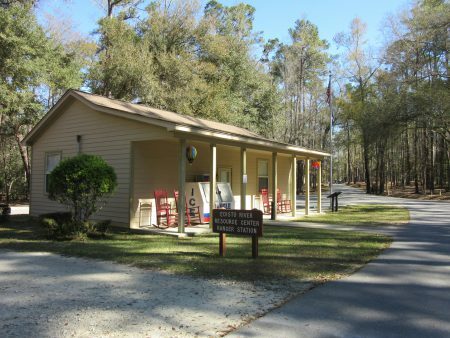 Any reservation made within the one day must be made directly through the park office. 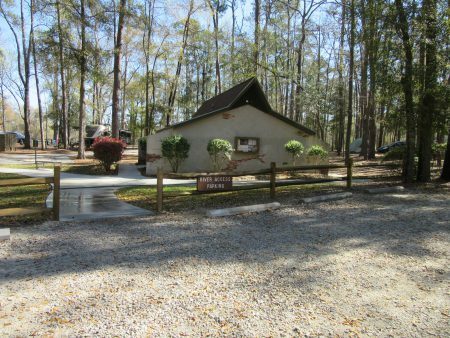 The Park Website says that the rental rates are between $15.00 and $17.00 per night. We paid $45.00 for three nights plus tax and a reservation fee our bill was $56.92 for the three nights. There is no mention of a weekly or monthly rate. 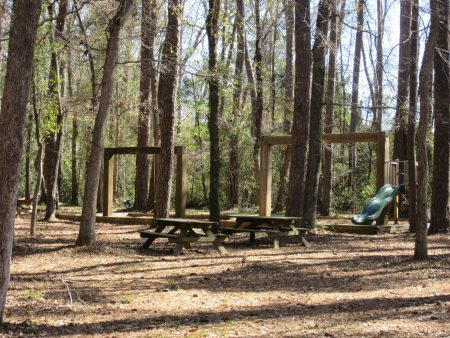 Lots: This is a small park. Most of the lots are back-ins with a few pull-in pull-outs. All lots are dirt and packed sand based, some are pretty un-level. 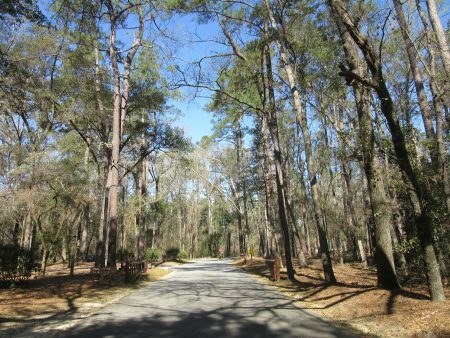 This is a state park, there are ample mature trees and it is next to the Edisto River. 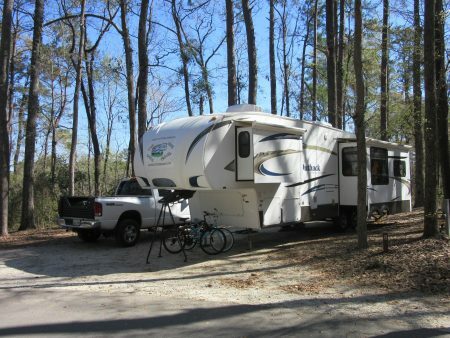 Positives: Price – for a State Park this is a very good price, but when we found that they also have a good internet connection, this is excellent. 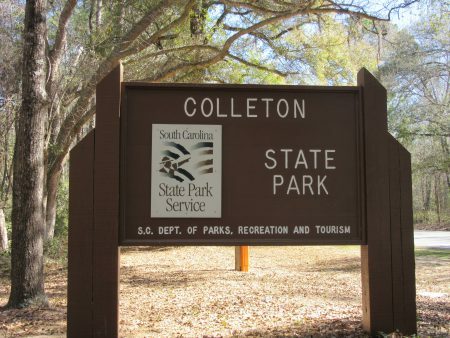 Location – The park is about an hour from Charleston. 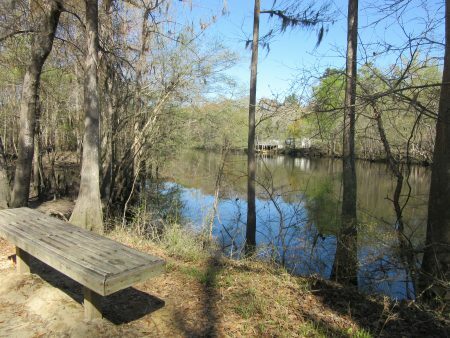 The Park has excellent canoeing opportunities. 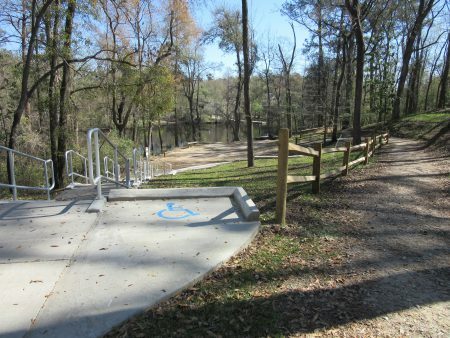 There is a put in at this park and a pull out at Givhan’s Ferry park down-river. 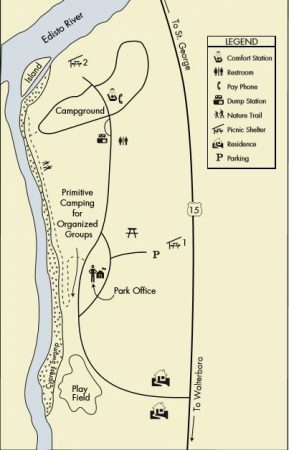 I’m not sure how far the other park is but for those that like to canoe this is an excellent opportunity. 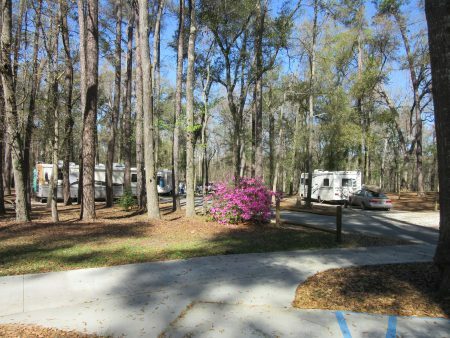 Negatives: The park is close to a major highway, if you are on that side of the park you will hear the autos and semis. 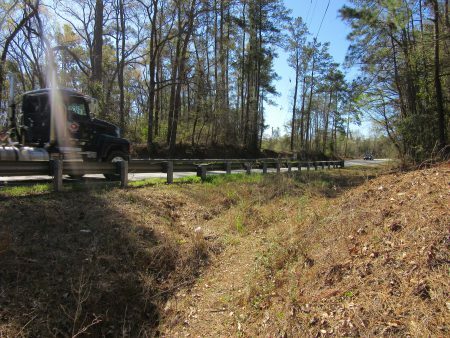 Getting in and out with a large RV is white finger driving because some of the trees are extremely near the paved road. Our set-up, we were off level by quite a bit when we first pulled in.